Although it has been only two months since Andrés Manuel López Obrador was named president elect, he has already published his environmental agenda, which sets out the objectives to be met and the strategies to be implemented during his six-year term from 2018 to 2024. The agenda will introduce regulatory changes regarding air emissions, environmental impact assessments (EIAs) and coastal and marine zones. Mexico will keep working towards its goals under the Paris Agreement, such as the implementation of a carbon market. Mexico's administrative offices will undergo significant changes and restructuring. This new environmental agenda is centered on a biocentric-focused social overhaul aimed at safeguarding the human right to a healthy environment – as recognised in the Constitution – through changes to the existing regulatory framework. The re-evaluation of EIAs – as EIAs are one of the key resources for measuring and mitigating the effects that a project may have on the environment, the proposed changes include incorporating a project's social effects in the EIA. The adjustment of the Mexican Official Standards regarding air emissions to reflect World Health Organisation recommendations – these changes could have a significant impact on industrial operations that generate air emissions, as the current maximum permissible levels of pollutants released to the atmosphere are greater than those recommended by the World Health Organisation. The implementation of a carbon market – a carbon market would impose additional air emissions obligations on the industry, particularly with regard to greenhouse gas emissions. The comprehensive management of coastal and marine zones – such management will be strengthened by the creation of a new coastal zone law aimed at strengthening costal and marine natural protected areas. The agenda confirms Mexico's involvement in the global effort to address climate change and global warming and aims to ensure that it meets its goals under the Paris Agreement, the United Nations Framework Convention on Climate Change and the General Law on Climate Change (ie, a 25% reduction in greenhouse gas emissions by 2030 and a 50% reduction by 2050, as well as 35% of energy consumption coming from green sources by 2024). In addition, climate change adaptation policies can be expected, as Mexico is highly vulnerable to this global phenomenon. Finally, the incoming administration plans to make several changes to the administrative structure of the Ministry of Environment and Natural Resources (SEMARNAT) – Mexico's foremost environmental regulator. These include eliminating some departments and introducing new ones, along with the probable relocation of the central offices to a state other than Mexico City. Companies are advised that these administrative changes may disrupt SEMARNAT's ongoing and new evaluation procedure, causing delays in the issuance of authorisations and permits. For further information on this topic please contact Brenda A Rogel Salgado, Jeanett Trad Nacif, Mario Jorge Yanez or Javier Camacho at Hogan Lovells BSTL, SC by telephone (+52 55 5091 0000) or email (brenda.rogel@hoganlovells.com, jeanett.trad@hoganlovells.com, jorge.yanez@hoganlovells.com or javier.camacho@hoganlovells.com). 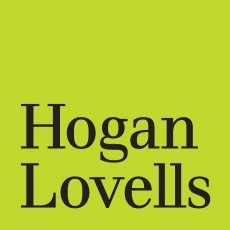 The Hogan Lovells BSTL, SC website can be accessed at www.hoganlovells.com.